If you have lost your password, just click on the link below the login field to ‘request a new password’. Follow instructions in the email you receive (check your spam folder too) to be sent a temporary access to your account settings, where you can immediately add a new password. Then save your settings and you’re good to go! While you are at it, just verify we have your correct details. Any activity that you do professionally, is regarded as taxable by the IRD. Community Shares Motueka neither has the platform for, nor does it withhold any taxes, PAYE or other legally required deductions. Each business is responsible to pay GST (if registered) and income tax on their income, regardless of the currency they are trading in. If you see an offer from another member that interests you, or another member contacts you on your request for a service, it is solely your responsibility to verify the integrity and trustworthiness of that member before agreeing to a service exchange. This may be less important if you just want your groceries delivered at home. It may be particularly important if the services you require involve vulnerable people (such as your children, elderly family members) or objects (your china cabinet or your car brakes). There are a few options to ensure that you have a positive experience. At the time of receiving the service, again match the person on your door step with their picture in the ‘members’ section. By using the Community Shares Motueka software and systems through motueka.cosh.net.nz, you agree that Community Shares Motueka shall not be liable for any loss (whether direct, indirect or consequential) and/or damage arising out of your use of, or inability to use, this website or from any error or omission in the information on the website. With simultaneously pressing the keys ‘Ctrl’ and ‘+’ or ‘-‘, you can control the size of the font on your screen. Yes you can. The choice is yours. You can join as a couple or family. It might be that later on you decide to have separate member accounts. For example, sometimes families join up on one member account, but then the children decide that they want their own account. Time credits are transferable throughout the system, so it is also a simple process to transfer some of the Hours or Talents through as well, if you wish. The Community Treasure Chest (CTC) is a community account. Here you can donate as many or as little of your Hours or Talents to the chest. You can do this as often or as little as you like. What happens to the Hours or Talents that you donate? At the discretion of the COSH Committee they will be given to any member(s) or community group that may be in need of them, for whatever reason, or they may be used to promote Community Shares to the wider public. If you want to donate Hours or Talents to the Community Treasure Chest, just follow instructions from the top left block of your screen 'Donate'.We are very grateful for your donation! What if a service trade was only 15 minutes? Time can be put through in increments of 15 minutes. Generally it makes sense to round them up, we encourage to the hour. You can agree the exact amount of time to put through with the person you are trading with. With Talents, you can use decimals. One Hour = one hour. You spend one hour of your time doing something you enjoy doing for someone else, and you gain one Hour. You can then spend this on having something done for you. Hours do not expire. They are completely transferable to any other member or organisation on Community Shares Motueka. Time credits are usually traded for services involcing time. 1 Talent equals the value of 2 medium sized free range eggs, which is approximately 1 New Zealand Dollar. You can trade services or goods with Talents, as agreed between you and the other party. So why would someone charge me both, or even in New Zealand Dollars? Let's say you're having your house painted. There are potentially three currencies to work with here. If the person doing the work has this as their professional business, they may also charge a taxable portion (GST/PAYE etc) in NZD. These will need to be agreed between you BEFORE the work starts, so everyone knows what to expect. Transactions in NZD will need to be made outside of our systems. Either the receiver or giver of a trade can input the transaction. Either way, the transaction will be displayed in the 'bank account' of each of you. Depending on the initiator of the transaction, the payor will receive an email notification, and be requested to 'sign' the transaction before it is finalised. I spent one hour teaching (including preparations) six people how to knit. Do I get six Cosh? Well theoretically you can, but it doesn't show much community sense. If you have only given one hour of your time, it's only fair that you claim one Hour. The remaining five Hours are to be donated into the Community Treasure Chest through a transaction with the account 'motueka.cosh.net.nz'. The answer is Yes. 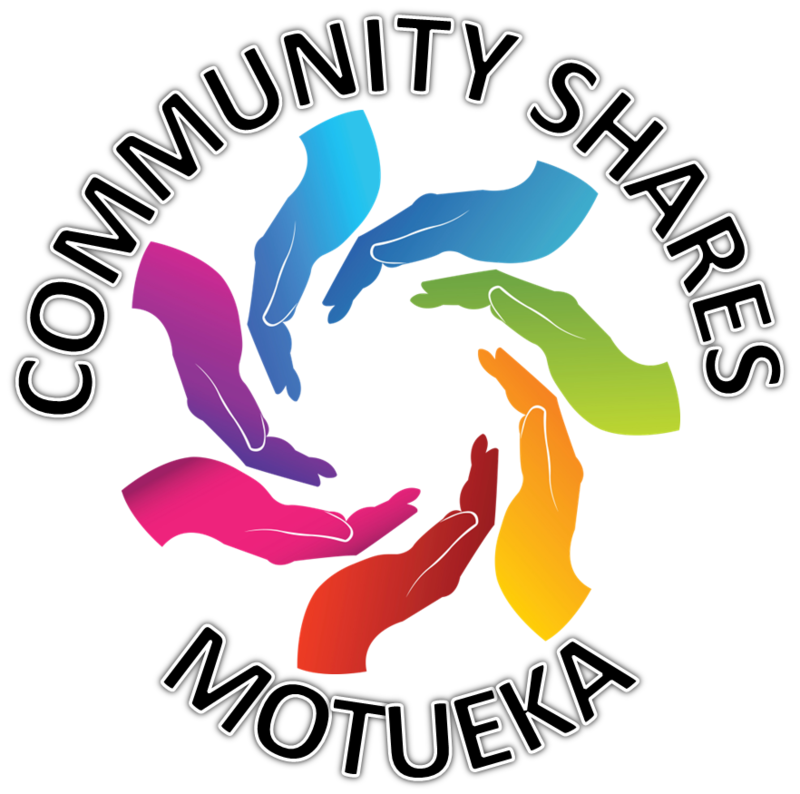 Community Shares Motueka is all about sharing! Sometimes there maybe a monetary cost involved. For trades where there are expenses involved we encourage you to discuss and agree these with the member you are trading with, PRIOR to the trade happening. Then you can pay for those expenses either in cash or in Talents, and for the time in Cosh. What if I don't have any Hours or Talents? With Talents, it is more important that you get to a point of balance. Your Community Shares Talents balance is not intended to be a stash, like in your savings account, but it is also not meant to just spend and spend without income. That is why there is a limit that you can be in 'the minus'. We encourage you to trade sensibly, as you would with your normal finances too! Offer part of your harvest/produce or garage sale items via CDommunity Shares, and all will be well. Edgar S Cahn developed the Time Banking concept in the USA. Since then, it has spread to many countries around the world. Time Banking acknowledges we all have something to contribute to our communities and that what we offer is valued. Project Lyttelton has set up New Zealand's first Time Bank. Community Shares Motueka was launched in November 2013.